The Korean peninsula is a 1,100-kilometre long strip of land, bordering China in the north and separated from Japan by a narrow strait. Korea has long been coveted by its neighbours, due to its coastline and central position. Japan twice went to war with China (1894-95) and Russia (1904-5) over control of Korea, before the Japanese finally annexed the peninsula in 1910. Japan’s defeat and surrender in 1945 raised the question of who would rule post-war Korea. Several local groups vied for control, however, the United States and Soviet governments had already agreed to a joint occupation of Korea. In August 1945, days after the bombing of Hiroshima, a joint agreement divided the Korean peninsula into two at the 38th parallel (the line of latitude 38 degrees north of the equator). The Soviet Red Army would occupy the north sector and the Americans the south. This agreement was intended to be temporary but included no plan or timeline for Korean self-government or unification. This division laid the groundwork for the Korean War. As in post-war Germany, both superpowers influenced the political development of their occupied zones. The Americans in South Korea resisted local independence movements they considered too sympathetic to socialism. Washington instead handed government of South Korea to Syngman Rhee, a hardline anti-communist. Rhee began targeting suspected communists with a series of violent purges that claimed more than 50,000 lives. Meanwhile, in North Korea, the Soviets formed a provisional government with Kim Il-Sung as ruler. Kim initiated a program of land reform and redistribution that proved popular with local peasants – but like Rhee, Kim also used political violence and murderous purges to eliminate political opposition. Despite the involvement of the United Nations, it became apparent that reunification of the Korean peninsula would be impossible. As a result, both occupied zones became independent states in 1948. Tensions between North and South Korea increased, as their leaders engaged in aggressive political rhetoric. Both Korean regimes fortified the 38th parallel border and increased military garrisons in the area; this led to cross-border shootings and skirmishes. In June 1950, one of these incidents sparked a full-scale invasion of South Korea by the North Korean People’s Army (KPA). On the ground in Korea, the KPA enjoyed a vast numerical advantage: the North had more than 230,000 soldiers, the South less than 100,000. This allowed the KPA to surge quickly into South Korean territory. By September 1950, North Korean forces would occupy 90 percent of the Korean peninsula. The South Koreans and Americans, in contrast, were confined to a small region around the coastal city of Pusan. The situation shifted with the arrival of a 17-nation coalition force, operating with the backing of a United Nations resolution. Among the nations who sent troops to resist communist aggression in South Korea were Great Britain, France, Canada, Australia, New Zealand, South Africa, Turkey, Thailand and Colombia. 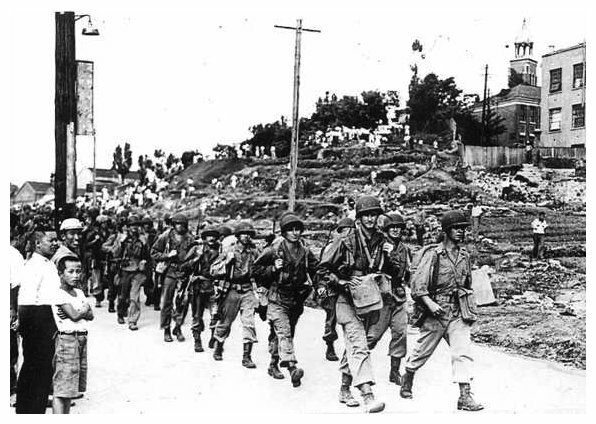 These troops began to arrive in South Korea in July and August 1950. By September the commander of UN forces in Korea, American general Douglas MacArthur, had enough men at his disposal to launch a counter-offensive against the coastal city of Inchon, not far from Seoul. By November, UN forces had pushed the KPA back to within a few miles of the Chinese border. For the next four months, KPA and UN forces would wrestle for territory in central Korea. Meanwhile, heated disputes over strategy erupted between Truman and MacArthur. MacArthur’s plan for victory involved pursuing North Korean troops back into Chinese territory, bombing air bases in China and, if necessary, using tactical nuclear weapons. Truman, eager to avoid war with China and averse to provoking the USSR by using nuclear weapons, refused MacArthur’s proposal. The incensed MacArthur made a number of inflammatory statements to the media, several containing implied criticisms of the White House and how Truman was handling the war. In April 1951 a fed-up Truman sacked MacArthur. It was a difficult decision, given Macarthur’s status as a World War II hero whose leadership had helped defeat the Japanese. 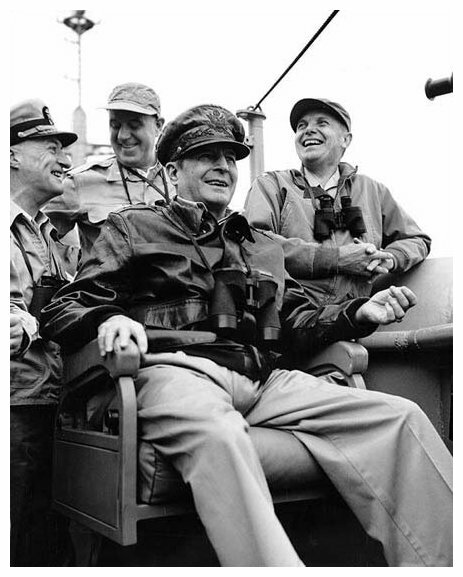 But MacArthur – who had mostly conducted the Korean War from the safety of Tokyo – had certainly exceeded his authority. Meanwhile, greater problems were unfolding on the battlefield. In late 1950, with United Nations forces on its doorstep, China decided to intervene. In November, Beijing sent almost 300,000 troops across the border, attacking American and UN positions in North Korea. Outnumbered, US and UN forces were again forced to retreat to South Korean territory. Between early 1951 and mid-1953, the Korean War fell into stalemate, with neither side able to capture or reclaim significant territory. 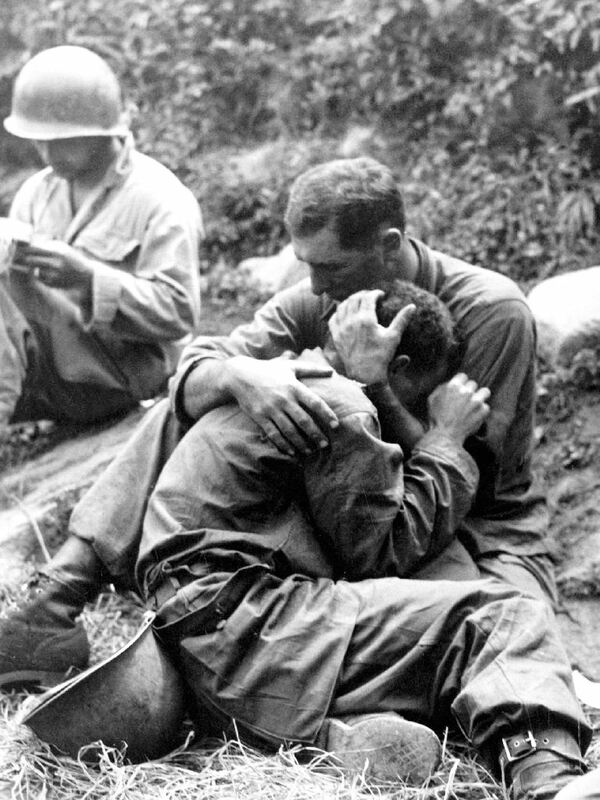 There were several major battles and a large number of casualties during this period, the majority of these incurred by the North Koreans and Chinese. This to-and-fro continued until July 1953 when a ceasefire was signed in Panmunjom – ironically, with opposing forces fighting just a few miles from the 38th parallel. After three years of war, and the deaths of between 2.5 and 3 million people, fighting was halted with the border scarcely changed from 1949. The Korean War was never formally ended with a peace treaty, so North and South Korea are technically still at war. A half-century after the ceasefire, the De-Militarised Zone (DMZ) separating the two Koreas is guarded by one of the heaviest military garrisons in the world. More than 500 South Korean and 50 US soldiers have been killed in or near the DMZ since 1953. 1. Korea is a 1,100-kilometre peninsula in south-east Asia, bordering China to the north and the Sea of Japan to the east. Korea was invaded and occupied by the Japanese during World War II. 2. The surrender of Japan in 1945 left Korea without a government. The peninsula was jointly occupied by Soviet troops north of the 38th parallel, and the Allies south of the line. 3. As in Germany, the occupied zones became separate nations. North Korea became a socialist state led by Kim Il-Sung, while South Korea was a pro-American state led by Syngman Rhee. 4. Tension between the two Koreas remained acute. In June 1950 North Korean troops invaded the South, prompting an American response and the formation of a United Nations coalition force. 5. The Chinese became involved in the Korean War, sending troops into the peninsula in November 1950. The conflict would for three years, cause up to three million deaths and produce no significant change to borders or governments. 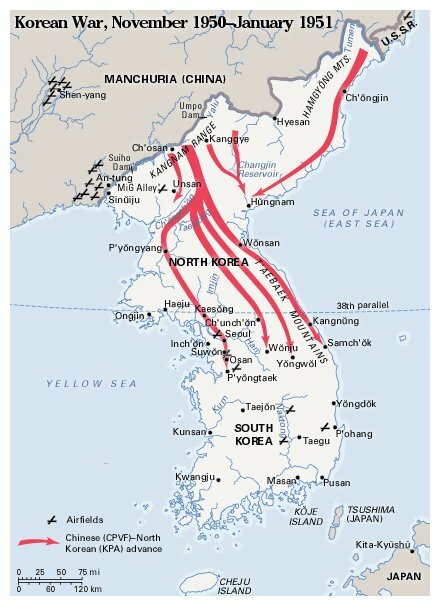 J. Llewellyn et al, “The Korean War”, Alpha History, accessed [today’s date], https://alphahistory.com/coldwar/korean-war/.